I just made the first public announce of my Elisa RTBF plugin so now is probably a good time to blog about it. I'm happy to announce the first release of the RTBF plugin marked as stable. That means you can easily install it from Elisa's plugins list. RTBF or Radio télévision belge de la communauté française is the national broadcasting organisation of the government of the French-speaking southern part of Belgium. 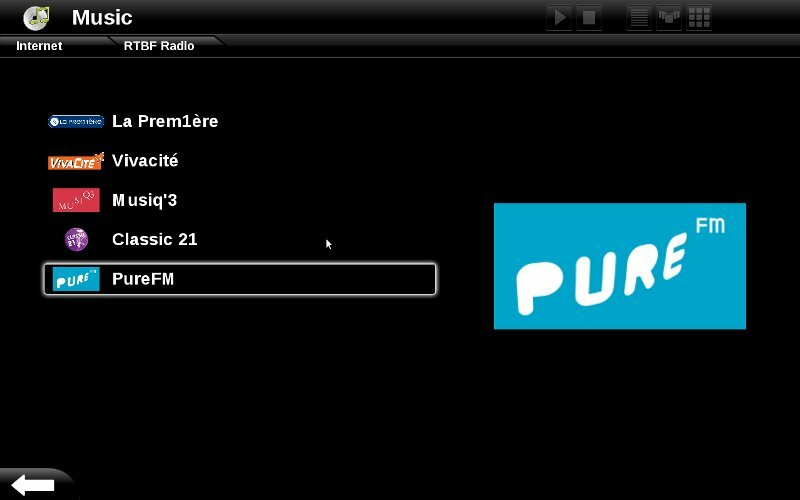 This plugin adds support for easy access to RTBF's radio streams and TV news. Elisa developers are doing a great job in creating a rocking open media center and opening it to external contributions. The last days have seen the arrival of new cool plugins and more should follow soon. Elisa is progressing really fast (there is a new release every Monday) so I strongly suggest you to try a recent version. And if you have a nice idea of plugin, don't hesitate to write it; plugin's design is not hard and the Elisa team is very nice and helpful.